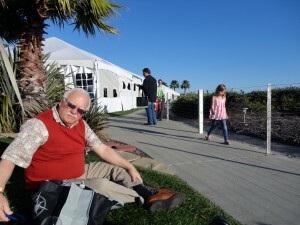 We were lucky to get comped a couple of tickets to the World of Pinot Noir Tasting at the Cliffs Hotel in Shell Beach. The pinot happens to be one of my favorite grapes and the Cliffs Hotel is right down the road, so the luck gods smiled and gifted me the $95 pp entry. 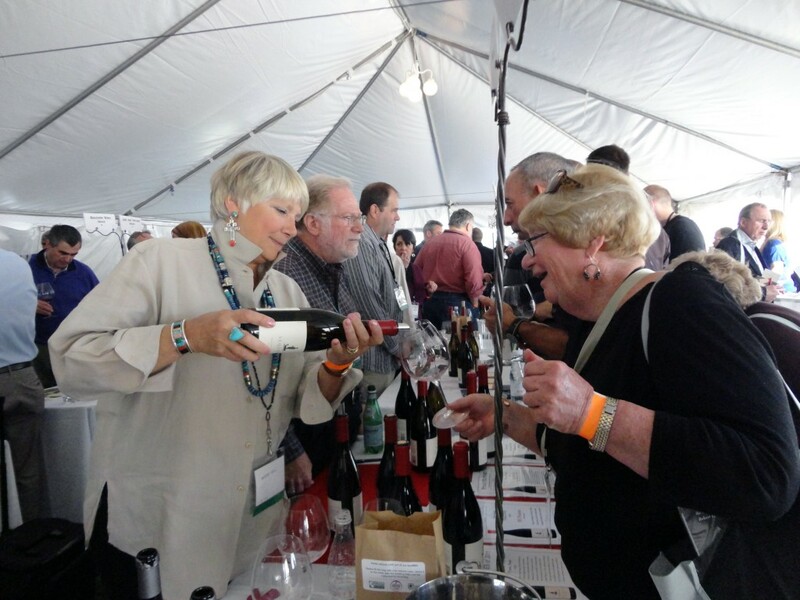 Pinot Noir by the Sea featured 69 wineries, each pouring their own Pinot Noirs – often three different, sometimes from bottles not available on the market, but only to their club members. There was a silent auction for about 12 different bottles. The lowest starting bid was $35. One started at $100. The prices on Pinot have really skyrocketed and I have to admit are mainly out of my price range. I’d rather have a single malt, but I certainly enjoyed the tasting. They did a great job on the food. I had a hard time dragging my husband away from a chicken liver mousse pate which was light as whipped cream. 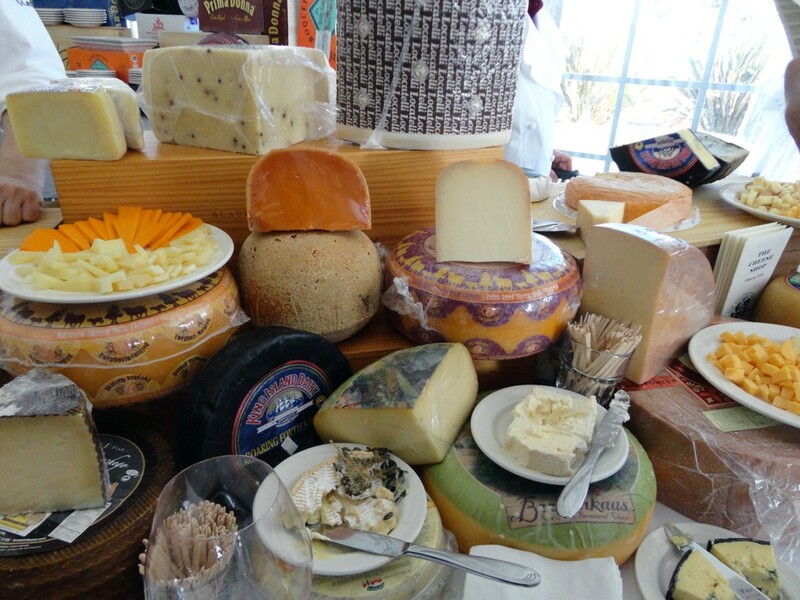 The Cheese Shop had an amazing array of domestic and European cheeses – something for any palette. 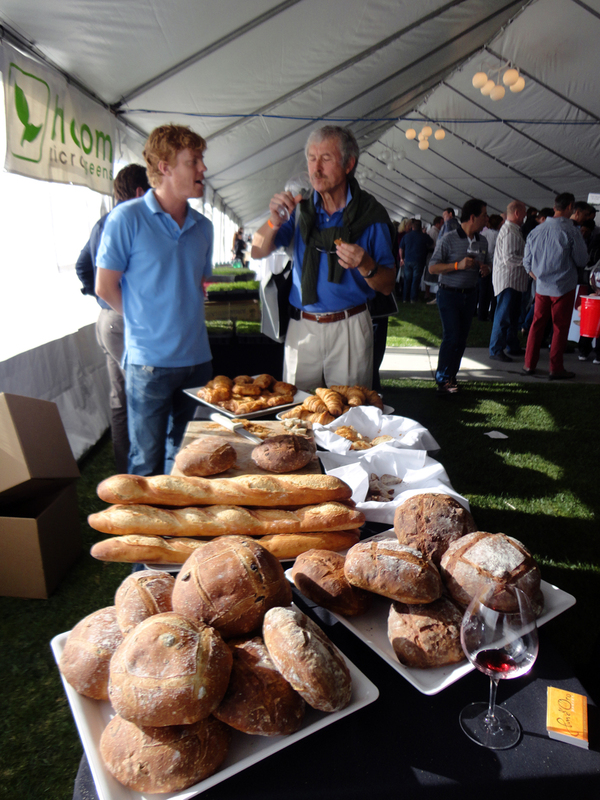 A local baker Pan d’Oro wowed us with his croissants. 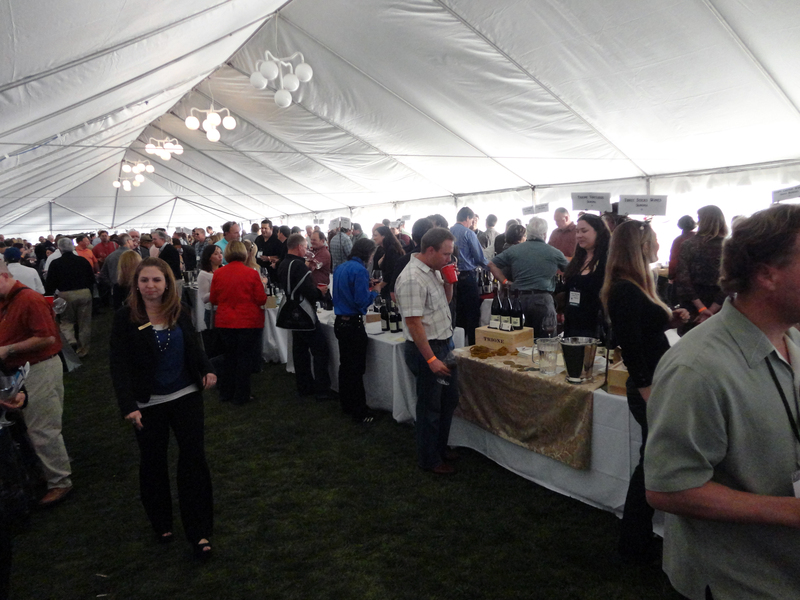 There were too many Pinots for me to list all that we sampled, but here’s a quick list of those that stood out from the crowd: I put in alphabetical order because I really couldn’t rank them. They each had their own special appeal. Some would be good with certain foods. Some great for drinking alone. Jack Creek Cellars – Templeton San Luis Obispo – jackcreekcellars.com I was partial to this one, being localÂ vintnerÂ and all. Husband and wife owned and operated. 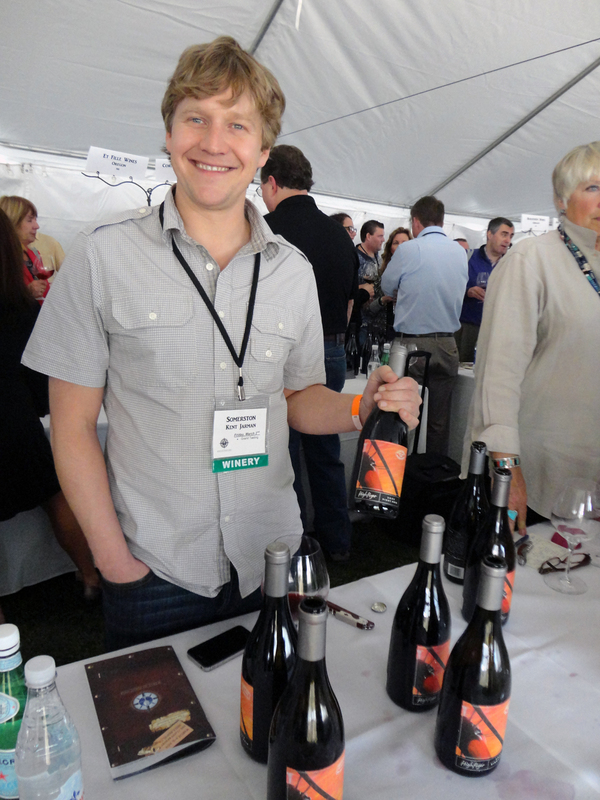 Kessler-Haak – Sta Rita Hills – kesslerhaakwine.com – Kessler and Haak were pouring. What a great couple realizing their dream. 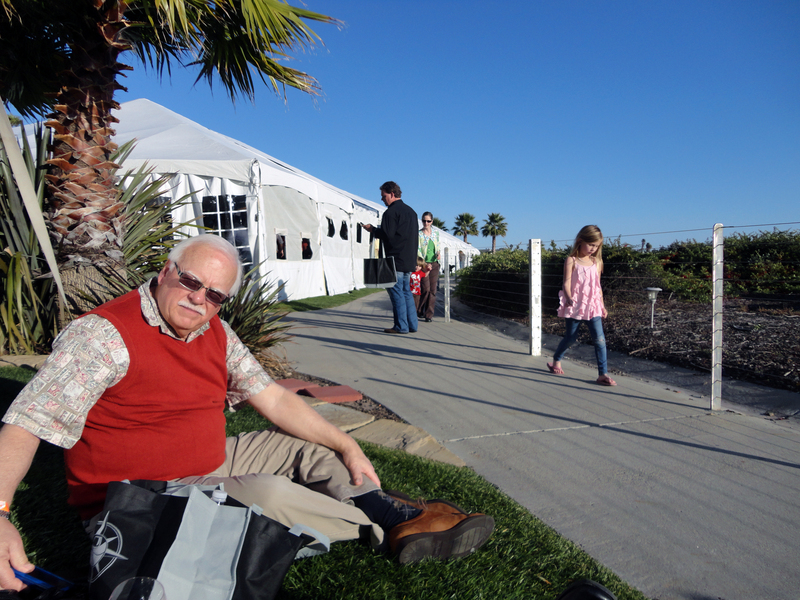 Mercy Vineyards – Pebble Beach – mercywines.com Easy to remember. Have mercy on me! Great tasting Pinots. I’m not much of a wine snob and drink Chilean and Australian wines on a regular basis. Â But judging by the New Zealand, Chilean, Australian and French wines served, California has the pinot noir market cornered. 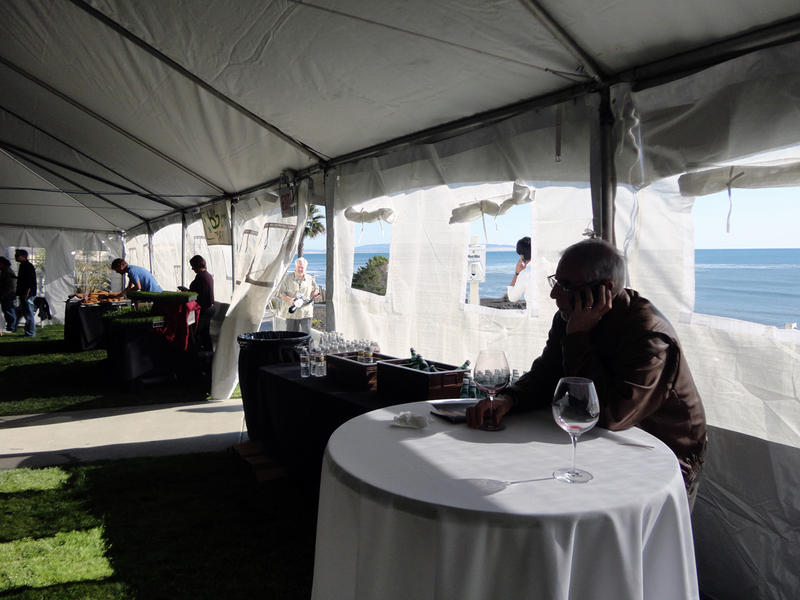 Maybe it’s the terroir – or maybe its the technique – or maybe a combo, but from the Pinot Noir by the Sea Tasting at the Shore Cliffs yesterday, my money’s on California. 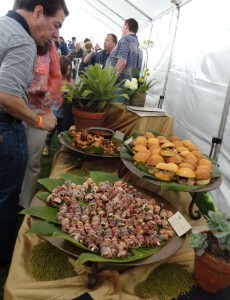 prosciutto and figs, duck sliders, cajun shrimp Yummy!